SEATTLE (June 18, 2014) – Seattle Business magazine honored its 100 Best Companies to Work For at an awards dinner on June 17, 2014, at The Westin Seattle. The winners, hailing from 18 cities across the state of Washington, were chosen based on extensive surveys completed by nearly 10,000 employees. 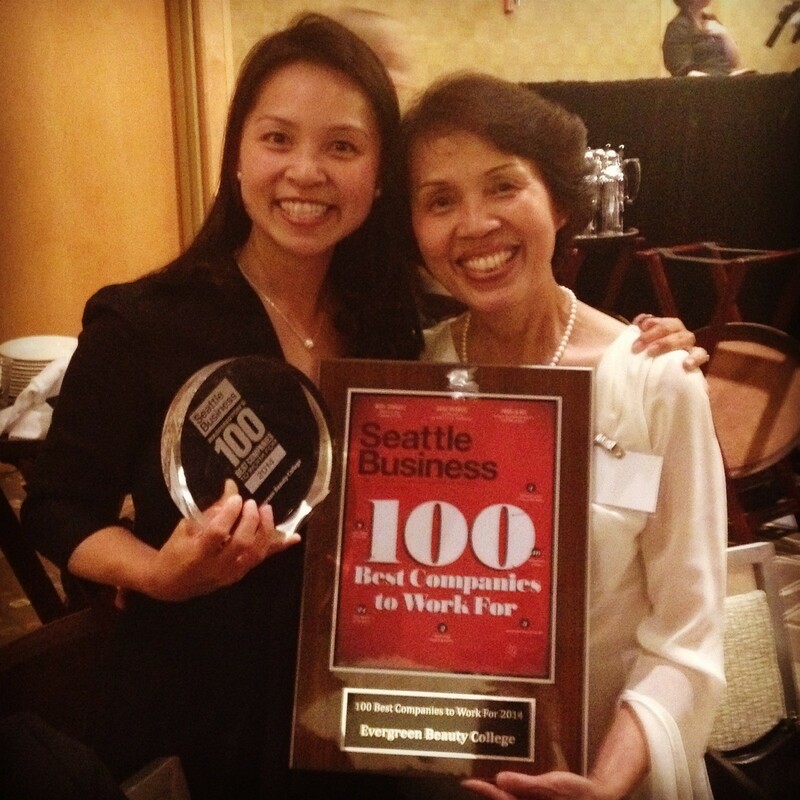 Seattle Business hosted more than 930 attendees from across the state at the gala. King County Executive Dow Constantine made a guest appearance to congratulate the honorees. Guests were also treated to a private performance by Seattle band Pickwick. Each of the 100 Best Companies to Work For was recognized at the event and awards were presented to 14 finalists in five categories. The program received generous support of sponsors AAOA Healthcare/ UnitedHealthcare, Wave Business Solutions and Bellevue College. Local family owned beauty college Evergreen Beauty College was honored as the only beauty school company to be listed in the top 100 companies ranked #16.